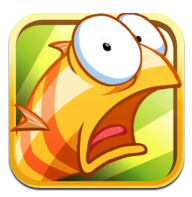 The App Store is bombarded with games, with new additions featuring daily. Without beating around the bush, some of the games that we’ve seen recently are absolutely terrible. Why someone has spent the time and money developing something quite this awful is completely beyond us! But for every 100 completely terrible games out there, one absolute gem awaits you. The downside is that you’ll generally have to filter through the sub-standard games to find the truly brilliant ones. Well, to make the whole decision making process that bit easier, we’ve pulled out 5 of the hottest iPhone games available to download at the moment. We highly recommend that you get them downloaded and try them out for yourself! Upon first looking at this game, you probably won’t think it’s up to much, but give it time! 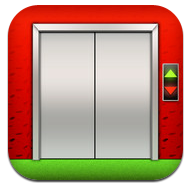 It’s a puzzle game of sorts, and the object is to break into the elevator and reach the 100th floor. Gaining access to the elevator requires you to crack a range of obscure, challenging puzzles. 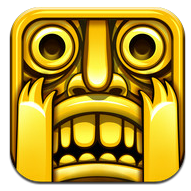 Shake your iPhone, tap the screen, move objects around; just keep going until you crack it! This is one of the best platform/driving games we’ve seen on the iPhone yet. 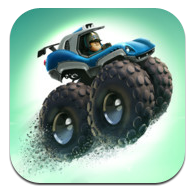 Drive your buggy through the level, avoiding obstacles and beating the shadow racer. If you beet the shadow, you’ll win a star and gain access to the next level. Reminiscent of Sonic the Hedgehog and Mario, you’ll need to collect coins along the way and unlock special features of the level to upgrade your buggy in preparation for later levels. The graphics and gameplay are both epic – definitely worth the free download! The motive of the game is simple. The player has to escape from monsters who are looking to quench their thirst with blood. Different movements like horizontal or vertical swipes control the direction that the dauntless explorer would opt for while running or whether he will jump or dive under the obstacles. During the course, the player also has to collect coins that falls in their way. The distance covered and the coins collected would decide the number of points scored. This is one such game that requires a crack shot touch sensitivity and despite it being mostly tedious graphics can be tough on the hardware. This game has been around for some while now, but it certainly deserves a mention in this list. The physics based game requires you to guide your heroic protagonist across the city skyline, swinging from skyscraper to skyscraper, using your trusty rope. Think of slightly less cool Spiderman! If you hit the ground, prepare from dismemberment and plenty of blood and guts, but if you nail the technique, you can aim to top the leader board on Game Centre. Lots of fun and very addictive! Have you ever watched a building being demolished with controlled explosions and thought, “I’d love to give that a go”? Well now, you can practice your technique with Demolition Mayhem. Place your explosives on a basic construction and hit the ‘detonate’ button to bring the building down. But be careful where you place them, if you don’t completely floor the building, you won’t make it too the next level. Plan ahead and use your head! A great little game to pass the time. This post was written by Brian Jessop – a mobile gaming enthusiast and mobile slots expert from the UK.